Praise the Sun! A fully remastered version of Dark Souls is coming to the Nintendo Switch, allowing fans of the series to die suddenly to Capra Demon while traveling on the subway. Reports of the remaster swirled this morning and were confirmed during a surprise Nintendo Direct. Dark Souls was first released in 2011 and popularized a new form of punishing action RPG focused on boss fights. 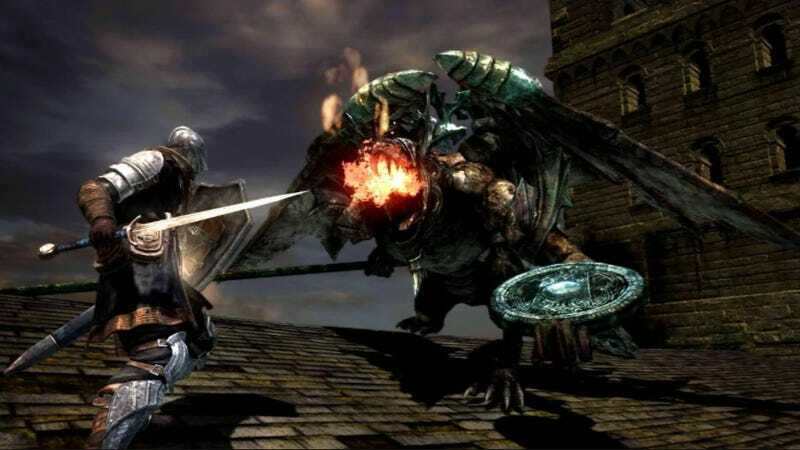 The remastered Dark Souls will add a new coat of paint to the land of Lordran and presumably make the Bell Gargoyle’s flame breath look even cooler. It will also feature an improved framerate and resolution from the original and come with the Artorias of the Abyss DLC. Dark Souls Remastered will also come to the Playstation 4, Xbox One, and PC. The remaster is currently slated for release on May 25th, 2018.